1967 saw some great albums released - The Doors debut album and “Strange Days”; Jimi Hendrix’s “Are You Experienced”; “Big Brother And The Holding Company”; oh and “Sgt Pepper”, of course. 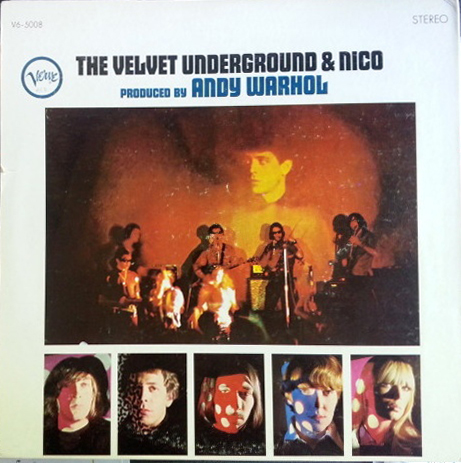 Then there was this one - The Velvet Underground - Lou Reed, John Cale, Sterling Morrison and Maureen Tucker abetted on three tracks by the mysterious German chanteuse, Nico. It is never mentioned as much as other albums of the time. Yes, it had critical acclaim and certainly has done in retrospect. However, in many ways, its influence has been greater, maybe, than the album itself. David Bowie, Siouxsie & The Banshees, Roxy Music, Mott The Hoople, Magazine, Oasis, U2 and so many punk and post-punk bands owe this album so much. It is also probably one of the most drug-addled albums of all time. It starts strangely, with the wistful, reflective and melodic “Sunday Morning” featuring Reed’s gentle, unthreatening vocal. He almost sounds like a college boy next door. Come the next track, though, and we get the real stuff - the insistent, drug-inspired anthem, “I’m Waiting For The Man”. Its repetitive piano coda adds to the somewhat frantic ambience and the riff is a killer. “Femme Fatale” features Nico for the first time. Her German accent is a bit bizarre at times, but her voice is haunting and beguiling. The sound, however, even on this 45th Anniversary remaster, is awful, with some real distortion in places in the music. The same applies to “Sunday Morning”. No amount of remasterings seem to make any difference, which is a shame. There is a mono version of the album available on the “deluxe edition” and it does have some of the attributes that mono recordings have, the attributes that mono recordings have - a definite raw, visceral edginess - but, unfortunately those same distortions are still there. “Venus In Furs” is a masterpiece of menacing, drug-addled, paranoia put to music. A cutting guitar riff cuts right through the song with no change of pace as Reed’s vocal remains deadpan and relentless. A very atmospheric, evocative track. “Run Run Run” is a frenetic, punky number which owes more than a little to Bob Dylan’s “Subterranean Homesick Blues”, and The Rolling Stones’ “Aftermath” album. Again, the sound is dodgy but somehow it adds to the decadent feeling of the album. The guitar solo at the end is discordant and scratchy. I wish it could be remastered better, but I guess is not possible. It is what it is. “All Tomorrow’s Parties” is Nico’s finest moment on the album. A tambourine heralds a wonderful, spine tingling keyboard riff and then she arrives - floating in with her haughty, sonorous voice like that weird German guest at someone’s party that you can’t really remember. Just that voice, and that guitar, man. A memorable, captivating guitar joins in, sounding like U2 would do thirty years later, underpinning the whole thing. Magnificent. Is one demi-monde classic enough for one album? Hell no. 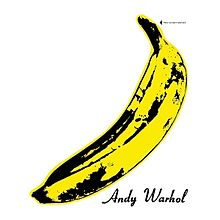 Next up is Lou Reed’s masterpiece - “Heroin”. It betters “Parties”, unbelievably, in many ways. Another sparse, iconic intro - lone guitar, some isolated drum sounds and Reed’s enigmatic vocal about injecting himself with heroin. Sombre stuff, indeed, but it is an incredibly hard-hitting creation. It is a difficult listen but no less mesmeric for it. Maureen Tucker keeps a slightly clumsy drum rhythm going throughout, and the guitar burns and slices while Reed’s trip gets worse. Nobody could possibly say that this track would encourage anyone to take heroin. Reed and the band make it sound like the nightmare it clearly is. From the chilled out relaxed beginning, the “high” soon becomes a sweating, hallucinating, paranoid trip from hell, vocally and musically as the guitar starts screeching out of control. A bad heroin trip set to music. Some achievement. “There She Goes Again” lifts the mood with a bit of sixties Byrds-style jangly pop, albeit against some world-weary cynical lyrics. “I’ll Be Your Mirror” is Nico’s third song and a brief, tuneful little one it is - nice bass line and tambourine and vocal delivery. A breath of fresh air in amongst all the comparative misery. “The Black Angel’s Death Song” tried to out-Dylan early Dylan but fails, to be honest. This is a discordant and irritating song, if I am totally honest. “European Son” is very much a Lou Reed track, at least for the first minute or two, and if you added some Mick Ronson guitar to it and cleaned it up a bit you could imagine it would fit quite well on to 1972’s “Transformer”. It has some madcap guitar and drums and threatens to get completely out of control, however, with all that feedback, cascading bass lines and hyperactive drumming. An archetypal piece of 1967 instrumental indulgence. At times unlistenable, at the same times, though, completely captivating. Like taking drugs I suppose. Thankfully, I wouldn’t know.